If you're not satisfied. We're not satisfied. That's why we'll happily pay a competitor to take over for us if you're not 100% satisfied. Based on feedback from local clients we heard that many security companies make promises, but few truly stand behind their work. 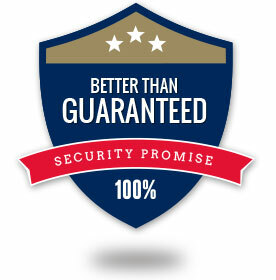 We decided to demonstrate our commitment by guaranteeing your satisfaction like no other security company in Louisville has before. If you’re not completely satisfied with the quality of the security we provide we will pay a competitor to take over for you. Plus, we have no minimums and no contracts. Contact us for details.